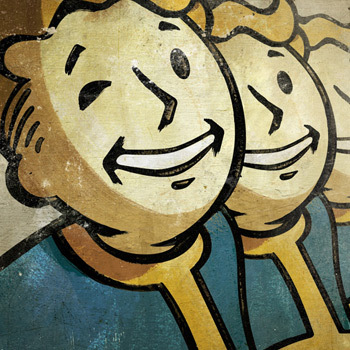 The Fallout 4 fanbase is formally requesting information about the game's development. The folks at Bethesda are being characteristically tight lipped about Fallout 4, and some fans are starting to lose their patience. A few days ago, Silviu Ploisteanu created a petition which begs for formally requests an official statement regarding the title's existence. "I believe it's about time Bethesda gives us some hints on Fallout 4," the change.org petition reads. "After the Survivor hoax and the *intentionally* leakedÂ Fallout 4 script on Kotaku, we NEED to know if Fallout 4 is being made and whether it will be set in Boston or not." Ploisteanu's frustration is understandable. Last month, Kotaku obtained a collection of documents that were leaked from a recent casting call--though, we don't actually know if the leak was intentional. The documents were laced with Fallout references, but it wasn't enough to spur any kind official confirmation from Bethesda. This, coupled with the recent Survivor2299 hoax, would be enough to drive any Fallout superfan to alcoholism. "We do not ask for much; just throw us a bone, tell us you're working on it," the petition says. "If you're thinking the same way that I do, please SIGN this petition. You can make a difference!" Unfortunately, signing this petition will probably make no difference whatsoever. Bethesda's announcement, whenever it happens, will be a carefully choreographed affair. Even if this petition becomes the most popular thing on the internet, it still won't overrule Bethesda's marketing department. Sorry. Now I feel like a jerk.